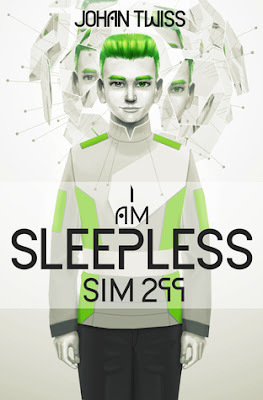 This book was really great! It was full of foreign words and concepts, but it was very easy to understand. The detail the author paired with the topics was great! My favorite characters are Zana and Fig because you can tell that their banter and bickering is just a way of showing affection for each other. My favorite part is when the General warns the group that Director Tuskins plans to humiliate and capture them. The General is sacrificing everything to help them. I don't think the group fully realizes it, but he loves them. I like the pictures the author uses to show the types of animals. I recommend this book to anyone who likes super-powers, friends and plenty of action. I give this book 5 out of 5 stars and recommend it for ages 12 and up. 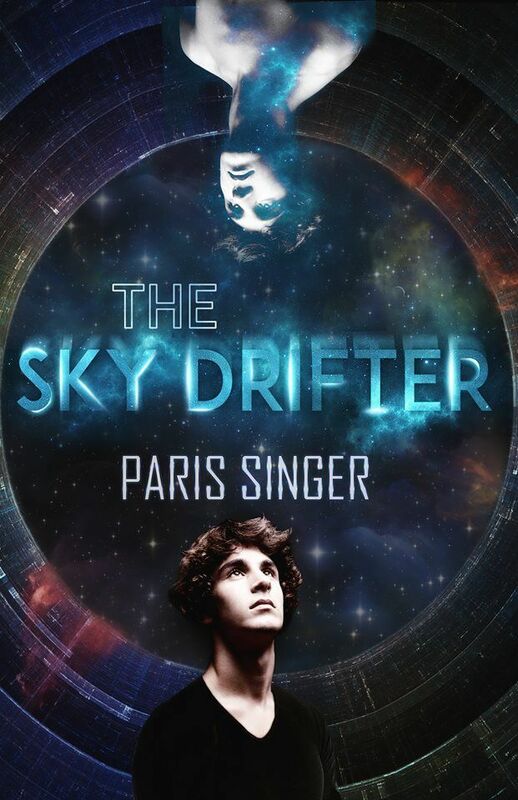 Wandering in the vastness of space, is the Sky Drifter; an academy reserved for the best students in the known universe. Seven is just such a student. Gifted in strategy and Sphere, he lives happily on-board with his friends Iris and Pi, taking on his rival, visiting planets for exploration and competition. Everything is the way he likes it, until he sees a mysterious girl in a red coat, who will reveal to him a secret that will bring everything he thought he knew crashing down around him. I was born in Brussels, Belgium, but was raised in southern Spain. Right now I live in Australia, but who knows in future (though it’ll probably be Spain). Cats seem to accompany me wherever I go. In my early years the adults told me I had to read, so I didn’t and detested the very idea. As soon as it wasn’t a theme, I began reading anything I could. Then, my first creative writing assignment occurred in English class. The very thought of creating my own story, my own world…It blew my mind and adrenaline surged through my body. My favourite writers I would say are Dean Koontz, Neil Gaiman, Oscar Wilde, Charles Dickens and Arthur Conan Doyle. But there are far more, I’m sure. "I tend to stare into space until I can place myself inside the story. From there, I'll try to describe what I see, smell and hear as much as I'm able to. Like a fly on the wall, I guess." What do you like to write and read about? Do you stick to a particular genre or do you like to explore different ones? "Well, I don't really think of genre when I write. I just think of stories I'd like to read, worlds I like seeing in my own mind. These do, admittedly, tend to drift towards the dark side of fiction, however. That said, many of my favorite authors do write paranormal, dark, horror, mystery books. I guess it’s something I'm drawn to." What is in store next? 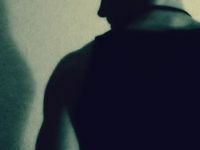 "I have a paranormal thriller novel being released probably early next year called 'The Regulars', and I'm currently working on another dark fantasy novel, which I'm having fun with, despite its sinister moments. After that I'll continue with a horror set in Victorian London." Paris Singer was born in Brussels, Belgium. He has lived in the U.K. and in various places in Spain, where he currently resides. At university, he studied English law and Spanish law. He didn't like it. He then studied translation and didn't like it, either. Currently, he is an English teacher in the south of Spain. He has far too many interests, he's told, a few of which being sports, playing his old guitar, learning Japanese, painting, reading and cooking. Not a day goes by, however, where he doesn't write something, be it under a palm tree or on a bench at a bus stop somewhere. The story’s small town of Danville Heights, a carefully crafted universe, contrasts with the dark, gloomy town of Sandry Lake, where evil abounds. Upon the boys’ mysterious incident with the energy source, they’re instinctively called to Sandry Lake to root out evil. Their senses guide them each time. However, secrecy about their mission, furious battles with evil thugs, extreme fatigue, and stress and pressure soon overwhelm the boys, but they must find a way to embrace their fate. A lurking, Dark Stranger seems to know their plight, and a strikingly beautiful, fearless girl lends way to heightened confusion. Shocking details about these two characters, and the evil antagonist, the dreaded Druth, twist and grind the story even further. Despite tension and fierce battles, will the boys hold it together long enough to fulfill their destiny? 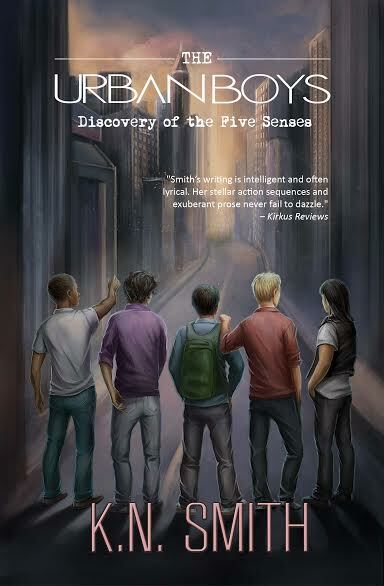 Intriguing, intelligent, beautifully written, and full of action, The Urban Boys: Discovery of the Five Senses offers a memorable, emotion-packed, thrilling ride for young and mature readers alike! This book drew me in at the opening line. It was full of adventure, emotional emptiness, friendship and awesome powers. My absolute favorite part was when Ross stood up against Joaquin because I felt it was a very important part. I think this moment built both boys' character. Ross was very brave and in some ways it did and didn't pay off. I really like the description Smith used. The book is based on the senses and I felt that she appealed to my senses and she executed the style of writing really well. My favorite character is Ross because of his bravery and courage. 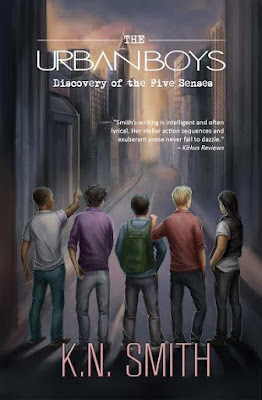 I recommend this book to anyone who likes wonderful writing, action and a couple boys who never give up. K.N. Smith is an American author and passionate advocate of childhood and family literacy programs throughout the world. She continues to inspire students of all ages to reach their highest potential in their literary and educational pursuits. Her creative literary flair sweeps across pages that twist, turn, and grind through elements of paranormal and action-adventure in diverse, exciting, edge-of-your-seat narratives. She states, “My hope is that The Urban Boys will spark imagination in a wide variety of readers while elevating global literacy efforts. It’s important that we have diverse families of readers for generations to come.” K.N. Smith has over twenty years experience in writing, communications, and creative design. She lives with her family in California. War is coming between vampires and humans, and the Vampire Nation will stop at nothing to eliminate their enemies. Former assassin, Echo sees the Nation for what it is – a corrupt organization with its sights set on destroying the Sect, a group formed to eradicate all things vampire. Now Echo is a Ghost, a traitor of the Vampire Nation, determined to build a new life with the Sect. But choices he’s made in the past might cost him the one person who could truly redeem his soul. Yonie Watereye lives in the bayou. The water there is full of guile, a power that changes people and objects. Yonie, 16, makes a living investigating objects affected by guile, but in fact it’s her talking cat, LaRue, who has the power to see guile. Yonie becomes aware that someone is sending harmful guile-changed objects to certain people, including herself. Her investigation becomes entwined with her hunt for the secrets of her mother’s past and leads her to discover dangers hidden within her own family. In the suspenseful adventure that follows, Yonie and her furry sidekick face challenges that could end their adventuring forever. This book was intense and more than delivered on the promise of a great book! 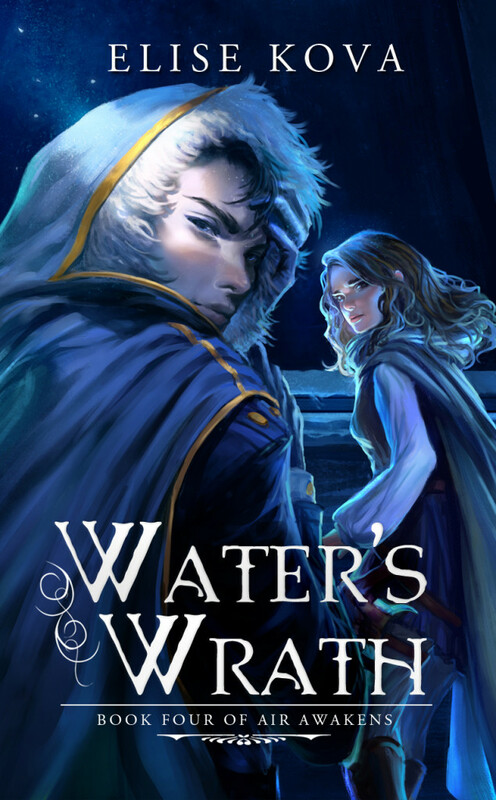 I loved that the author made a mundane thing like water possess a power to change everything. My favorite part is when Yonie looks for her city because she undertakes quite the adventure. I think it is lovely because Yonie never gives up. I like stories where the main characters don't give up. My favorite character is Gilbert because even though he tortured Yonie when they were little, he still protects her. He cares for Yonie and will do anything to help her. I recommend this book to anyone who enjoys tales of adventure, family, and a brave orphan girl. 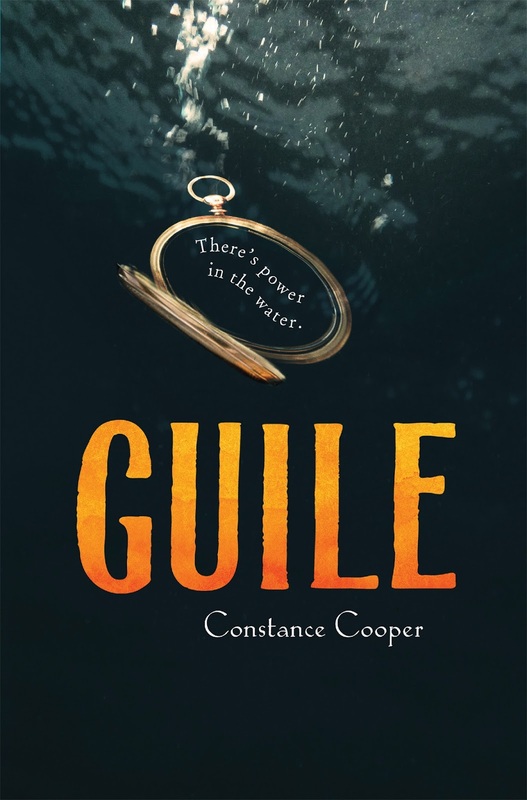 Constance's fantasy novel Guile will be published March 1, 2016 by Clarion Books, an imprint of Houghton Mifflin Harcourt. Guile is set in the Bad Bayous, where the water makes strange and unpredictable changes to things (or animals, or people) that soak too long. Constance's short stories have appeared in Asimov's, Strange Horizons, Lightspeed, and various other publications. Her work has been podcast, translated into Swedish and Hebrew, and included in “Best Of” anthologies. She also writes sf poetry, and has twice been nominated for the Rhysling Award. Constance grew up mainly in the San Francisco Bay Area, with one year spent in Surrey, England and a chunk of another spent in Newfoundland, Canada. She studied journalism at UC Santa Cruz, where she hiked to class through redwood forest, explored secret caves, and helped edit the college newspaper. Later she earned an MA in Linguistics at the University of Pennsylvania, and stayed on in Philadelphia working on a linguistic research project before getting sucked into the brand-new world of website design. After Constance met her husband, they moved to Edinburgh, Scotland for two years, where she morphed into a software engineer. Just as she'd acclimated to saying “beeta testing” and “proh-cessor,” she and her husband returned to the Bay Area to work for a natural language search company. 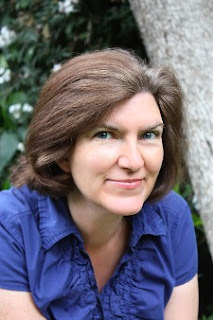 Now Constance lives in the Bay Area with her husband and two children, and is enjoying ever-increasing time to write the kind of stories she's always loved. Her published science fiction so far has all been set on alien planets, and often told from alien viewpoints (including reptilian, mammalian, and crustacean analogues.) In writing fantasy, she's attracted to inventive, nonstandard settings, light touches of humor, and just pure adventurous fun. Constance's writing also shows the influence of her love for mysteries. 3 winners will receive a finished copy of GUILE, US only. Welcome to my tour stop for Stinger and Bow by Orren Merton! 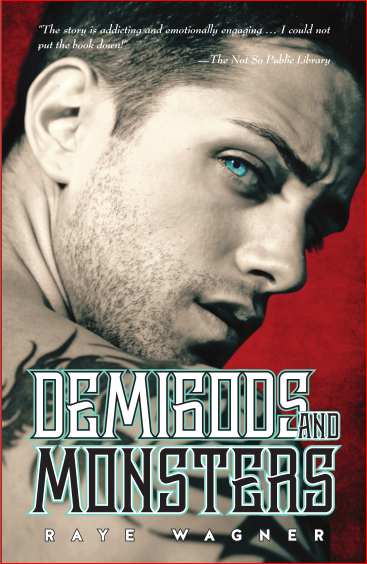 This is a young adult urban fantasy and is the first book in a spin off series of The Sedumen Chronicles. 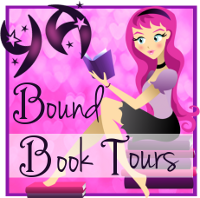 The tour runs Feb. 15-26 with reviews, interviews, guest posts and excerpts. Check out the tour page for the full schedule. Stinger needs a new crossbow. Thirteen year-old Rachel Silver—or as she's known to the world, Stinger—needs a new crossbow. Her last bow failed her when she needed it most. Besides, Firebird Alex, her aunt and fellow Seduman—half-human, half-spirit being—wields a Sedu blade, made with spirit magic. So Stinger designs herself a magic crossbow, then convinces her best friends to accompany her around the world and into the universe of Sediin to find the right craftsmen to have it made. Trouble is, warriors attract people who want to challenge them, whether they're ready or not. Stinger is still tormented by her last battle—she's suffering night-terrors, shakes, and cold sweats. When the situation turns deadly, will she be able to come to grips with her trauma and become the warrior she needs to be to save her friends? It was about a young girl named Stinger who lives a secret life as a superhero's sidekick. Stinger really wants a new bow so she travels to England to have an expert design her bow. Along the way she encounters some troubles with a few villains. She also shows everybody that she is more than a sidekick, she is a hero. My favorite part is when Stinger starts realizing that everyone is her family and friends. She starts to accept her new family. I did have to skip and stop reading the book because some of it was inappropriate for me. I recommend this book to anyone that likes heroes, friendship, and action. “Are you okay?” Emma asks. “I…what?” I stall. I can feel myself getting clammy and sweaty. I try to swallow it back and just focus on Emma. Just think about Emma. Emma is awesome. Just Emma. My pulse starts racing; I can feel it. I try to smile, but my lips start trembling. I close my eyes. The face of a middle-aged woman turned into a Possessed, eyes glowing white and about to blast my head off, rushes in front of me. I see myself take the sharp javelin that I’m holding, and I shove it into her left eye. I feel it go into her head, cut through the squishy inside, and then force its way out the back of her skull. Her head flashes white as the Kaayot spirit leaves her body, and then my javelin is just skewered on the head of a dead middle-aged woman. I drop the javelin and the woman falls to the ground, and I immediately grab another javelin, ready to do it again. My heart starts racing so fast I grab my chest with my hand. I start shivering uncontrollably. I just need to focus on Emma—just stop thinking about it—but the more I tell myself not to think about it, the more I think about it. Emma throws her arms around me. She’s awesome like that. I lean my head against her neck when I feel my eyes get hot. Emma kisses my head and holds me, gently rocking me back and forth. “Shake all you want, sis. I’m right here.” And she starts singing “Here’s Comes The Sun” by the Beatles. It’s one of Mrs. Kelley’s favorite songs; she sings it to Jill and Emma when they’re sad. I try to clear my mind and just focus on Emma’s singing. Emma has an amazing voice. I focus on the words and her voice and the song and being rocked back and forth. She runs out of words and just starts singing the melody until I stop shaking and sobbing. Eventually, my heart stops racing. Orren Merton started writing fantasy and science fiction at an embarrassingly young age. In high school, he picked up guitar and start playing up and down California in a few loud and moody bands, culminating in his current project Ember After. During that time, magazines, developers, and corporations began to pay him to write and edit music software related articles, manuals, and books. Since then he has written the urban fantasy novel The Deviant and the science fiction novel Skye Entity before working on The Sedumen Chronicles, his current series of urban fantasy YA novels. He lives in Southern California with his family, pets, collection of sci-fi/fantasy memorabilia, and curiously large stuffed animal collection. Prizing is provided by the author, hosts are not responsible in any way. Must be 13 or older to enter and have parental permission if under 17. Void where prohibited by law. No purchase necessary to enter.